You can easily order high quality prints of any of these images. Find your favourite image and then click the white "BUY PHOTOS" button here to the right. Then you will be able to choose from a selection of sizes and media types. I also offer a special range of Large Format Posters for sale with some of my best images. 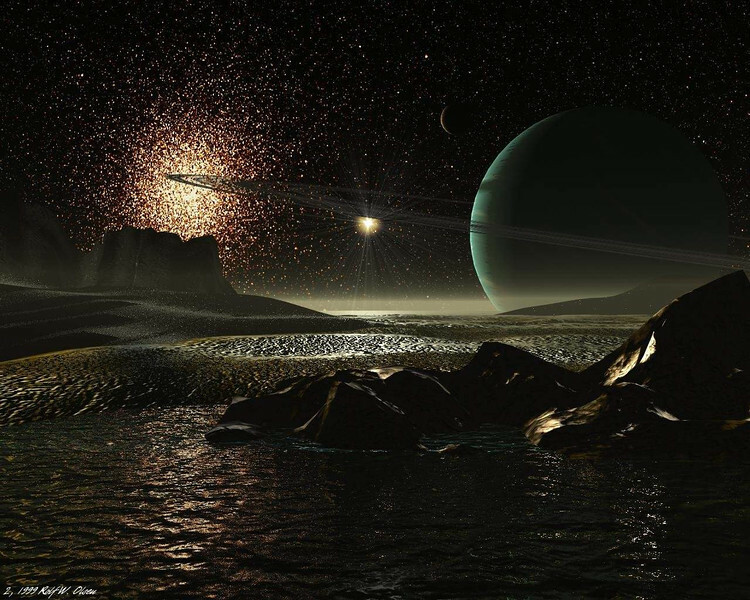 I enjoy creating images of imaginary Space scenes, using 3D Studio Max. These images are entirely from my own imagination, but I've tried to create some realistic scenes based on actual environments in known Space, concerning general astrophysics, existing objects, relative brightness, realistic athmospheric effects etc. Astronomical images contains very subtle differences in shade and colour. For optimal viewing of these images, please click here: Screen adjustment and follow the brief instructions there.